I, the undersigned, fully empower and permit Rabbi Kenneth Hain to act in my stead, and in my behalf to sell all Chametz possessed by me (knowingly or unknowingly) as defined by Torah and Rabbinic Law (e.g.Chametz, doubt of Chametz, and all kinds of Chametz mixtures), and to lease all places wherein the Chametz owned by me may be found, especially in the premises indicated below and elsewhere. 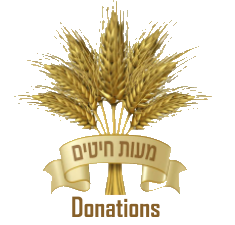 Rabbi Hain has the full right to sell and to lease by transactions, as he deems fit and proper and for such time which he believes necessary in accordance with all terms detailed in the general authorization contract which is in the possession of Rabbi Hain authorizing him to sell Chametz on behalf of others. I hereby give Rabbi Hain full power and authority to appoint a substitute in his stead with full power to sell and lease as provided herein.The above given power is in conformity with all Torah, Rabbinical regulations and laws, and also in accordance with the laws of the State of New York and of the United States. Will you be in a different time zone than New York over Pesach? Indicated below are my primary forms of Chametz, with general location and approximate value. However, the authorization to sell my Chametz also includes all Chametz, even if not listed below.